One day in 1865, Charles Purden returned to the Eastern Cape with freshly cut pineapple crowns from Natal, to be planted in the greater Grahamstown area. 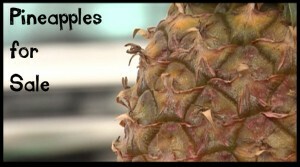 Today, the pineapples industry in the Eastern Cape is one of the biggest in the country. But a large industry doesn’t always mean good business. Three women tell you their stories about life on the road … with pineapples. This entry was posted on Tuesday, September 8th, 2009 at 12:36 pm	and is filed under , 2009. You can follow any responses to this entry through the RSS 2.0 feed. You can leave a response, or trackback from your own site.